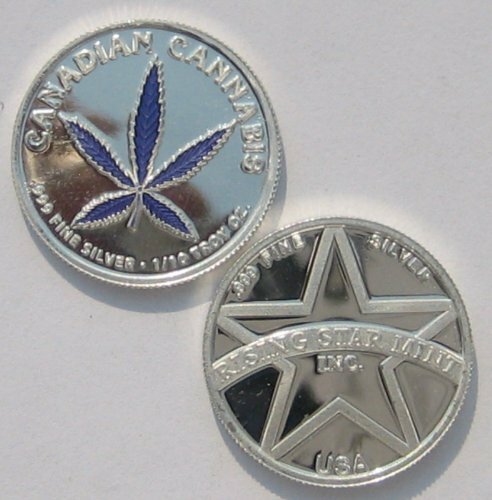 These rounds symbolize and support the legalization of marijuana. Washington D.C. voted Yes on Initiative 71 that legalized the recreational use of cannabis. These proof rounds have a very low mintage, which further adds to their collectibility. Limited micro mintage of 1,000 pieces! Limited Edition! Contains 1 troy oz of .999 fine Silver! Comes in protective plastic capsule safe for long-term storage! Reverse: Displays a rendition of the seal of Washington D.C. with the date that Washington legalized marijuana, which was in 2014. Initiative 71 was a Washington, D.C. voter-approved ballot initiative that legalized the recreational use of cannabis. The measure was approved by 64.87% of voters on November 4, 2014 and went into full effect February 26, 2015. This is a must-have for any cannabis enthusiast! 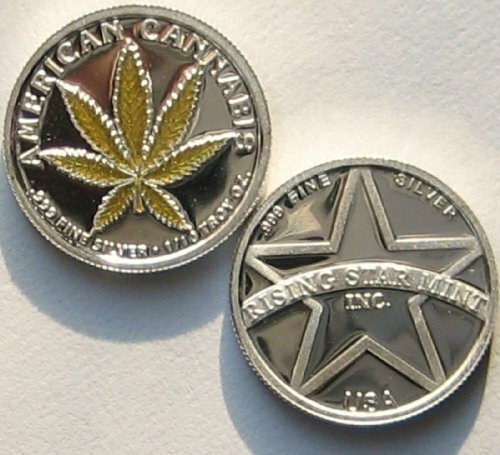 We strive to provide the highest quality silver products! Check out/follow our store, for our latest available silver products! Protect and preserve your wealth with silver! Happy silver stacking!